Her essay “Pushing Up the Sun” was included in the anthology A Second Blooming: Becoming the Women We Are Meant to Be, published by Mercer Press, 2017. Her essay “An Open Letter” appeared in The Best Creative Nonfiction, Vol. 3 (W.W. Norton & Company, 2009) and was singled out for a review in The New Yorker, and her essay “The Wedding Hankie” was included in Chocolate for a Woman’s Soul II (Simon & Schuster, 2003). Her works have been published in magazines, newspapers, and six anthologies. Rhodes is Co-founder and Senior Writer/Editor at TurnStyle Writing, Editing & Publishing Solutions. (turnstylewriters.com) TurnStyle offers editing and proofreading services, private coaching sessions for writers, and writing workshops at local venues. Rhodes is also Writer/Analyst for W. R. Coles and Associates in Nashville, where she participates in state, regional, and international projects. 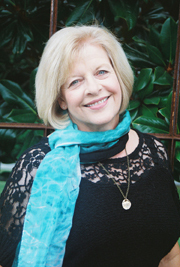 She is a charter member of two writing groups: Nashville Writers Council and Writers in CAPS. Rhodes was an officer and on the Board of Directors for her former county and state literary organizations. She was co-director of the national Oxford Creative Nonfiction Conference (Oxford, MS, 2010 and 2013). She was also a part-time program instructor for Williamson County, Tennessee, Parks and Recreation, teaching writing classes on the Franklin campus from 2010-2017. For eight years Rhodes was Publisher/Editor of the e-zine Muscadine Lines: A Southern Journal, ISSN 1554-8449. 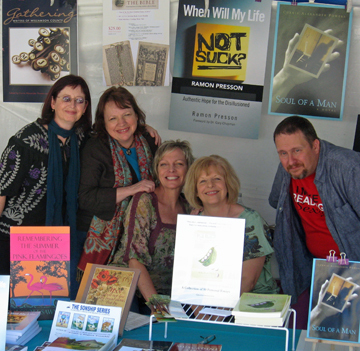 MLASJ published the works of 361 emerging and established writers in 38 states and ten countries, including Pushcart winners, nationally known journalists, and an excerpt from the second novel of the late Doug Marlette. A former English teacher, Rhodes earned a BA in English and Education at Delta State University, where she was a President’s List scholar and winner of the Annie Caulfield Winston Writing Award, and then did graduate studies in professional writing at the University of Memphis. She currently lives in the Nashville, Tennessee, area, where she gardens, kayaks, writes, reads, and enjoys walks with her buff merle cocker spaniel, Heidi Deering. Visit Kathy’s book blog for Remember the Dragonflies!